As an entrepreneur, time is very valuable. Don't let bookkeeping distract you from running your business. Let us handle your day-to-day bookkeeping so you can spend time building your business. Learn more about our bookkeeping services, schedule a free consultation today. 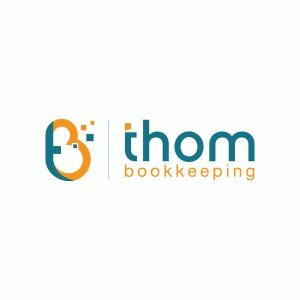 Our bookkeeping solutions include bank reconciliations, invoicing, bill pay and reporting. We import your transactions via the bank feed and categorize each transaction to ensure that all activity is captured within your accounting file. We use bank-grade encryption to gather your financial data automatically and securely. We can take the payroll hassle off your hands and make payday effortless. The full service payroll experience. We offer payroll solutions that are available as part of our monthly service or stand-alone. We offer solutions that integrate with your accounting software and keep you in compliance with state and local laws. We also handle direct deposit, W-2s, payroll tax payments and quarterly and annual form filing for a full-service payroll experience. We implement tax planning strategies to lower your tax bill. Planning is the key to successfully and legally reducing your tax liability. Tax planning is a year-round event if you want to minimize your tax bill. We will help you implement strategies that reduce your tax liability each year. Is something off in your QuickBooks accounting file? Let us do a deep dive into your accounting data file to ensure everything is correct and to get the most out of your software. After the review has been completed we will prepare a detailed report of our findings and items that need to be fixed and our recommendations on how to improve. You have the option of making the corrections on your own or we can do the cleanup for an additional fee.